A brief history and what drives us going forward. Shanti Inc., established in 1989, is a nonprofit organization dedicated to providing hope and empowerment for underprivileged women and children both in the U.S. and in India, through education and health care. The women of Shanti envision a world where girls are allowed to reach their full potential, crossing barriers of poverty, inequality and discrimination. We believe in the transformative effect of collective 'girl power' to create stable, secure, and healthy societies leading to a better tomorrow for all. 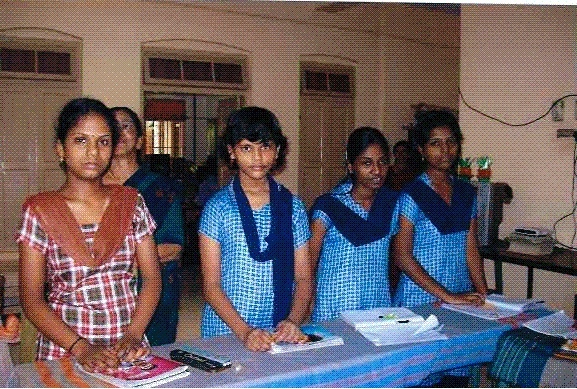 Over the past 3 decades, Shanti Inc. has primarily operated as a fundraising organization. We conduct an annual banquet in the Washington DC metropolitan area to raise funds that are then donated directly to domestic and international organizations that support Shanti's mission. More information about the various charities we support can be found here. Contributions to Shanti are tax deductible. Recently, Shanti has been working on establishing its very own branch in Kerala, India through which we hope to enable ourselves to support families directly. With many women and children in need, and the societal stigma that exists with regard to seeking that help, word of mouth and home visitation are important methods that can be used to identify and serve those experiencing financial and emotional strife. With our own volunteers in India on the ground, we will be able to have a greater impact than we have had in years past. However, to realize this vision, we need as much support as we can garner. As you continue to explore our website, we hope you will consider helping us achieve these goals through donations, and through supporting our fundraising efforts.